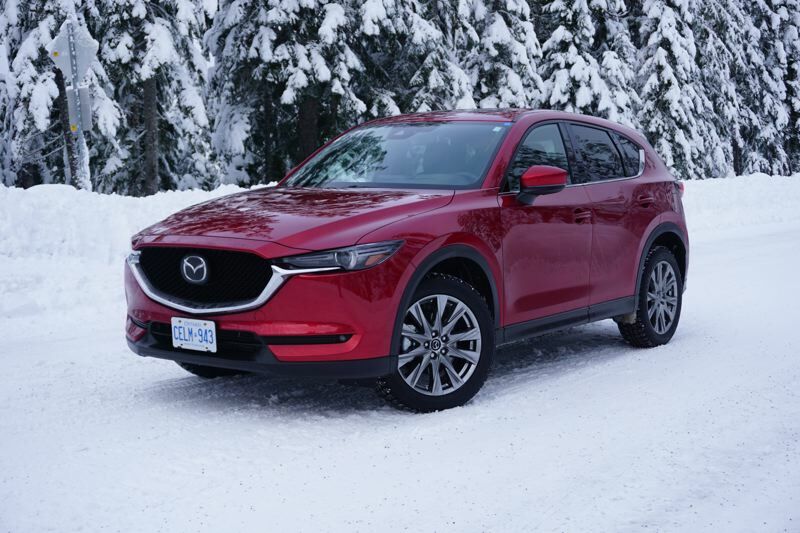 The bottom line on the 2019 Mazda CX-5 is that if you are shopping any of the premium Japanese or European brands, you can save quite a bit of money while getting the same level of luxury and performance. Mazda has long been associated with sports cars and performance, but they're still considered an economy car brand. That's changing quickly, though, and the introduction of the revised 2019 CX-5 compact crossover is going to push Mazda into premium territory, while maintaining an economy price tag. Mazda has added two new luxury trim levels for the 2019 CX-5 lineup, and the result is an SUV that can challenge anything the Europeans have to offer, and win. The new Grand Touring Reserve and Signature trims come with a 250 horsepower turbocharged 2.5-liter engine, paired with a 6-speed automatic transmission. The new engine and transmission combo has already been proven in the Mazda6 sedan and the CX-9 mid-size SUV. 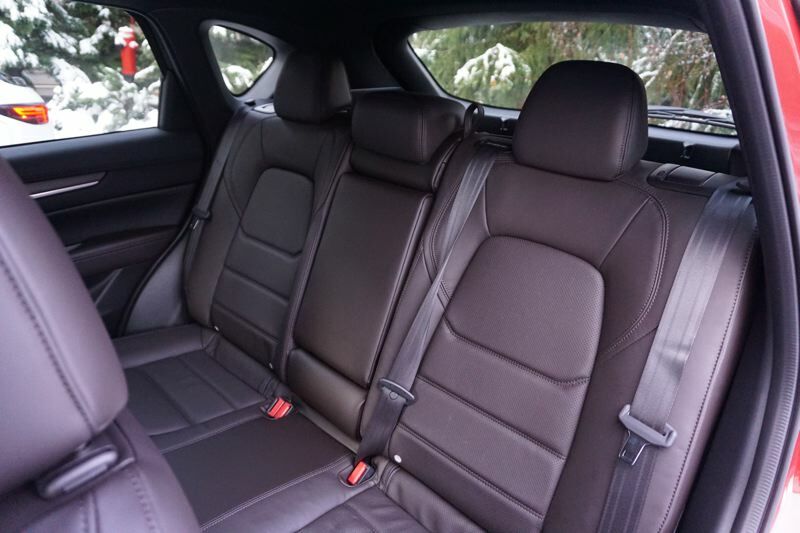 Inside, the Grand Touring Reserve trim offers front seat ventilation in addition to heated leather front and rear seats. The steering wheel is heated, too. 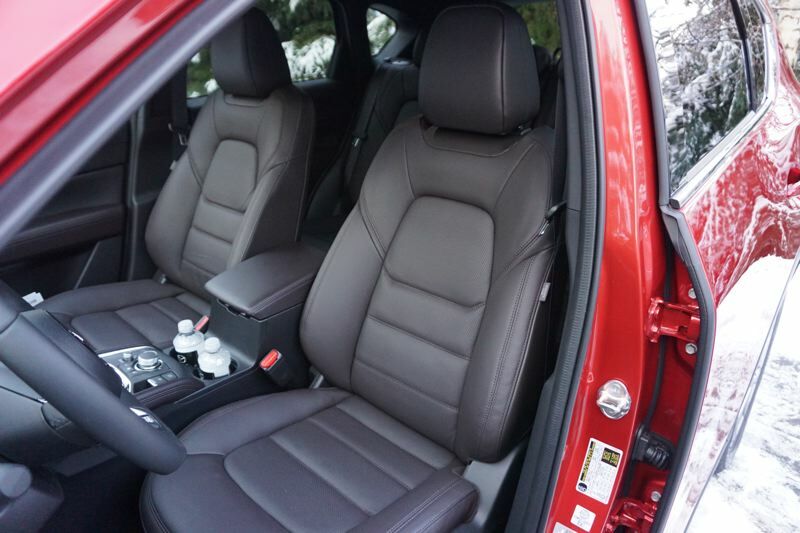 The top Signature trim adds soft Nappa leather upholstery and layered wood accents. 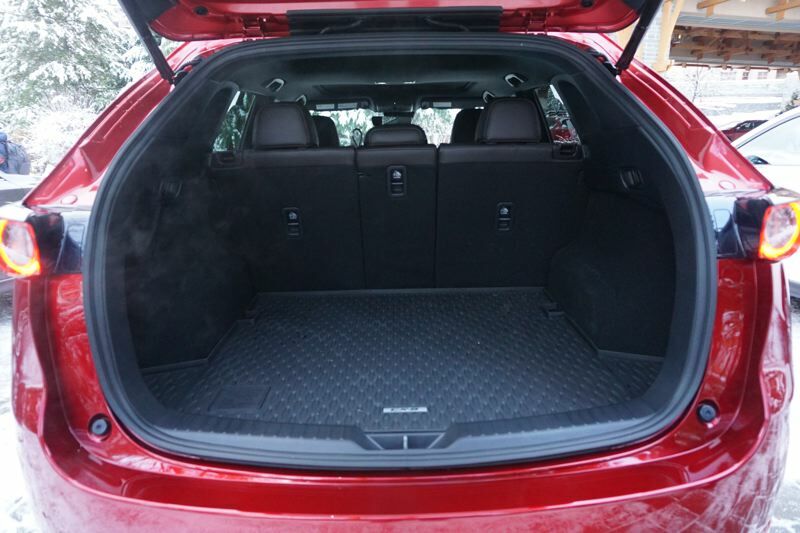 The CX-5 gives you 30.9 cubic feet in the back, and 59.6 cubic feet of cargo capacity with the rear seats down. Both top trims include a sharp head-up display that projects driver information on the windshield. The infotainment system supports Android Auto and Apple CarPlay through a 7-inch display mounted high on the dash. On the road, the turbocharged CX-5 drives like it has a big V6 under the hood. We went out in search of snow because Mazda has also updated the i-ACTIV AWD system and their industry-exclusive G Vectoring Control system that improves steering response. The i-ACTIV system uses data like outside temperature and windshield wiper status to predict wheel slip before it happens, and the G Vectoring control keeps weight on the front wheels during cornering. The result is an SUV that offers plenty of power at all engine speeds and razor-sharp steering response regardless of surface. We traversed loose snow, packed ice, deep water, and dry pavement and the CX-5 drove through all of that muck like it was a nice summer day. The starting price for the base Sport trim front-wheel-drive CX-5 is $25,345 including destination fees. All trims are available with predictive all-wheel-drive for an additional $1,400. The top Grand Touring Reserve and Signature trims include all-wheel-drive and the turbocharged engine for $35,865 and $37,885 respectively. 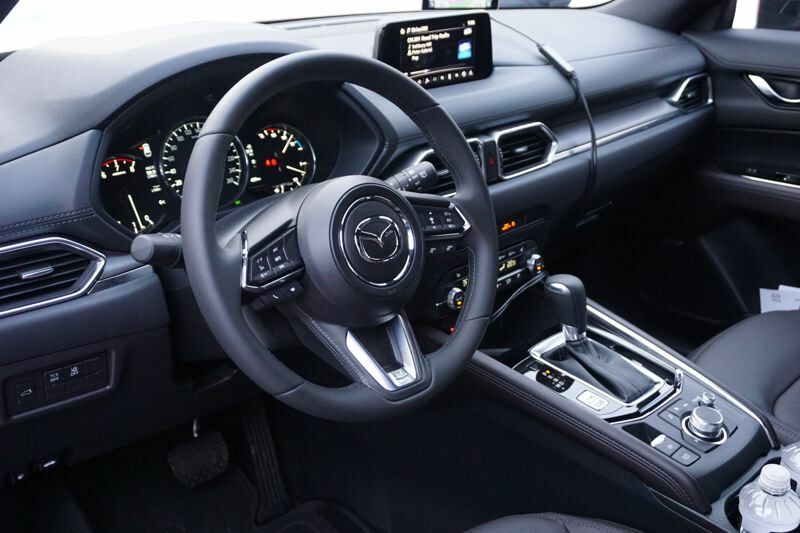 The bottom line on the 2019 Mazda CX-5 is that if you're shopping any of the premium Japanese or European brands, you can save quite a bit of money while getting the same level of luxury and performance. Mazda has entered the premium crossover SUV market with a strong contender.